St. Mary’s values the rich experience and cultural diversity found through close liaison and collaboration with staff and pupils in all our partner schools. There are numerous opportunities for St. Mary’s students to broaden their horizons beyond the United Kingdom. You can see a display celebrating our International work in the entrance hall of our Clitherow Building. There are many other International work displays around school. Every year since 2008, Sixth Form students visit South Africa as part of our acclaimed Bambisanani Partnership. More than 200 pupils have now visited Mnyakanya School in South Africa. 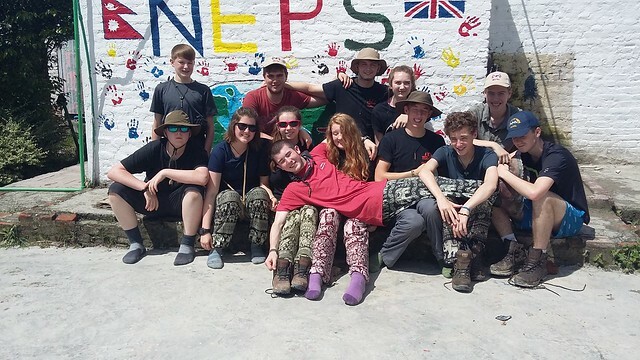 Many pupils are involved in the World Challenge expeditions in locations such as the Himalayas, Peru and Tanzania. The 2014 expedition went to Ecuador and the 2016 Expedition is going to be in Nepal. An incredible opportunity for our pupils. There is a bi-annual Ski Trip to New Hampshire, United States of America. During an International Week, every St. Mary's pupil and our visitors from Mnyakanya High School, South Africa worked on creating this beautiful mosaic (with artist Alan Pergusey) which is in our Covered Area. The sun's rays represent the many different international links St. Mary's Menston enjoys. In 2009 St. Mary's was first awarded the International School Award in recognition of the highly innovative international and community schemes we have pioneered. The award recognises schools who are leading the way in instilling a global dimension into the learning experience of all children and young people.